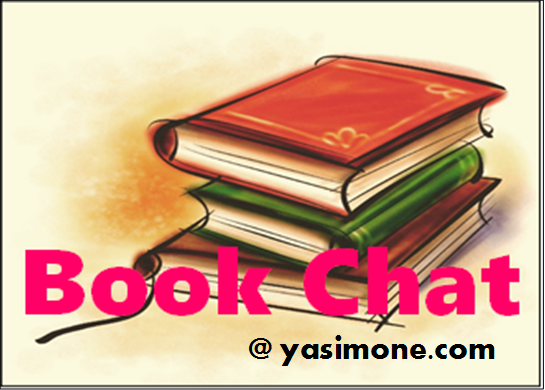 Book Chat #9: Anticipating Magnus Chase and the Gods of Asgard! Hello everyone! I’ve been a little absent lately, but it’s been nice to let my blog just sit there for a bit. Anyway, I’m back now with the first Book Chat after a while! I don’t know if I’ve ever mentioned this before, but I’m a pretty big fan of Rick Riordan. Aren’t we all? 😉 I loved his series Percy Jackson and the Olympians; I loved his series The Heroes of Olympus. However, his final book in The Heroes of Olympus came out last year in October, and we had to bid good-bye to our favorite Greek gang. 😥 (Well, we can reread the books, but it certainly won’t be the same.) 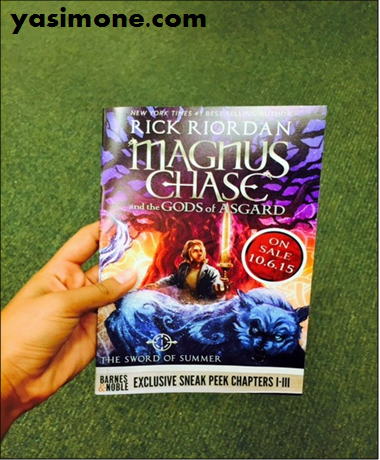 However… Rick Riordan will be releasing a NEW book on October 6th, Magnus Chase and the Gods of Asgard: The Sword of Summer! And this time, it will be about Norse mythology! How cool! Magnus Chase has always been a troubled kid. Since his mother’s mysterious death, he’s lived alone on the streets of Boston, surviving by his wits, keeping one step ahead of the police and the truant officers. One day, he’s tracked down by an uncle he’s never met-a man his mother claimed was dangerous. His uncle tells him an impossible secret: Magnus is the son of a Norse god. The Viking myths are true. The gods of Asgard are preparing for war. Trolls, giants and worse monsters are stirring for doomsday. To prevent Ragnarok, Magnus must search the Nine Worlds for a weapon that has been lost for thousands of years. When an attack by fire giants forces him to choose between his own safety and the lives of hundreds of innocents, Magnus makes a fatal decision. A preview of the book that I got at my bookstore! I actually was at my local bookstore a few weeks ago when I noticed that they had a pamphlet with a preview of the book: the first three chapters! I immediately snatched it up and read at least four times. I can assure you that it is just as fast-paced and exciting as the Percy Jackson books! Magnus is Annabeth Chase’s cousin!